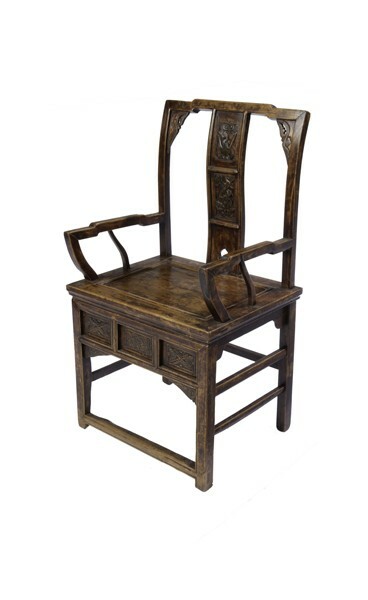 This pair of carved arm chairs have a natural patina and luster that only comes with age. Comfortable as is or add a thin cushion for more comfort. 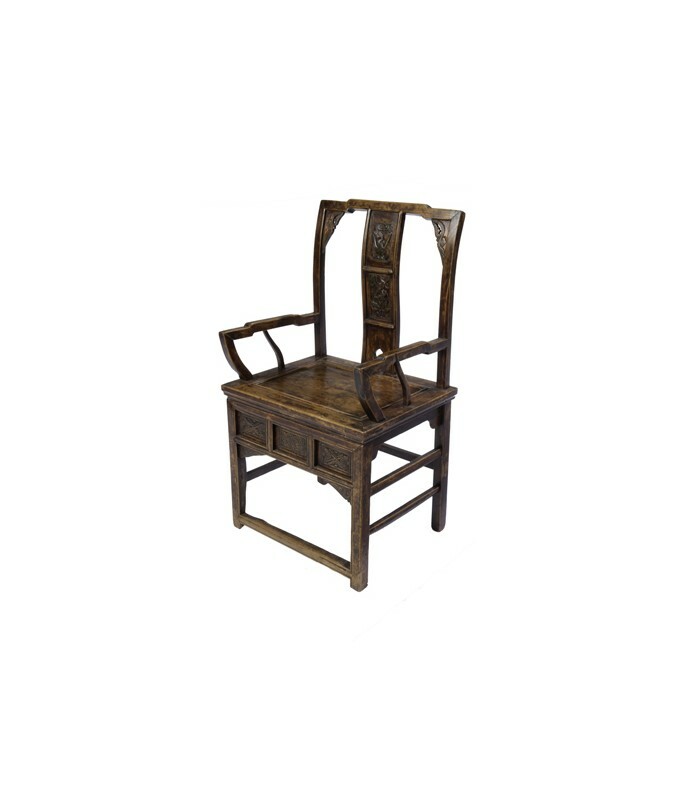 Great as hall chairs or a handsome pair at any dining table.